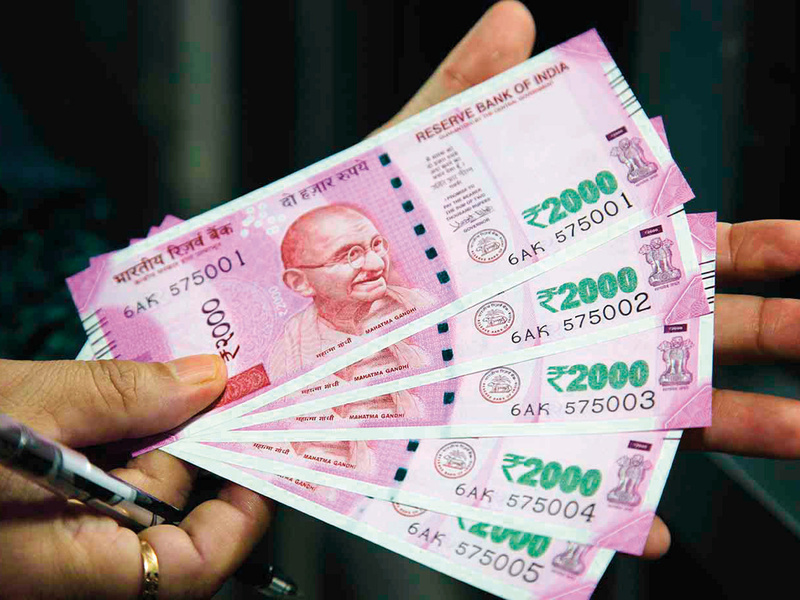 Mumbai: The rupee depreciated 16 paise to 69.11 against the US dollar on Monday on month-end demand for the American currency from importers amid a weak opening in domestic equity market. Besides, the US dollar edged back from a six-week low against the yen and this factor also weighed on the Indian rupee, dealers said. At the Interbank Foreign Exchange (forex) market, the domestic unit opened lower at 69.07 and slipped further to 69.14 but recovered partially to quote 16 paise down at 69.11 against the dollar. Forex dealers said the local unit was weighed down by strong dollar demand from importers to make month-end payments. However, sustained foreign fund inflows and easing crude prices restricted the fall. Foreign portfolio investors (FPIs) bought equities worth Rs13.75 billion (Dh732 million) Friday, provisional data showed. Brent crude futures, the global oil benchmark, slipped 0.82 per cent to $66.48 per barrel. Meanwhile, the benchmark BSE Sensex fell by 306.53 points, or 0.80 per cent, at 37,858.08 in early deals.